World Youth Day was started in 1986 by Pope St John Paul II. Every three years or so, the Pope hosts an international gathering of youth in a different world city - hundreds of thousands (often millions) of young people turn up from all corners of the globe to join in this celebration of faith. Previous locations have included Madrid, Rio de Janeiro, Kraków and Panama. For many years now the Diocese has taken a group of young people from East Anglia to each World Youth Day. We hope to continue this by taking a group to the next one in Lisbon, Portugal in 2022. Preparations for this will begin in the 18 months or so leading up to the event - keep an eye on our website, and in parishes, to find out more when the time comes! 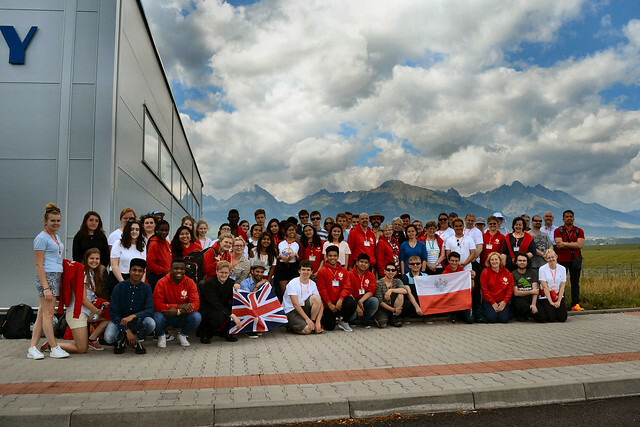 Pictures and blogs from previous World Youth Days, including Kraków 2016 and Panama 2019, can be viewed below, as well as on our 'News & Blog' page. Photo gallery of the East Anglia group at World Youth Day 2016, which was held in Poland.